You know, even though the title of this blog is “Inkless”, in a nod to my explorations of digital self-publishing, there’s still nothing quite like holding a real book in your hands. The experience is totally different, and it’s one that readers should still savor, even if they embrace the digital revolution. 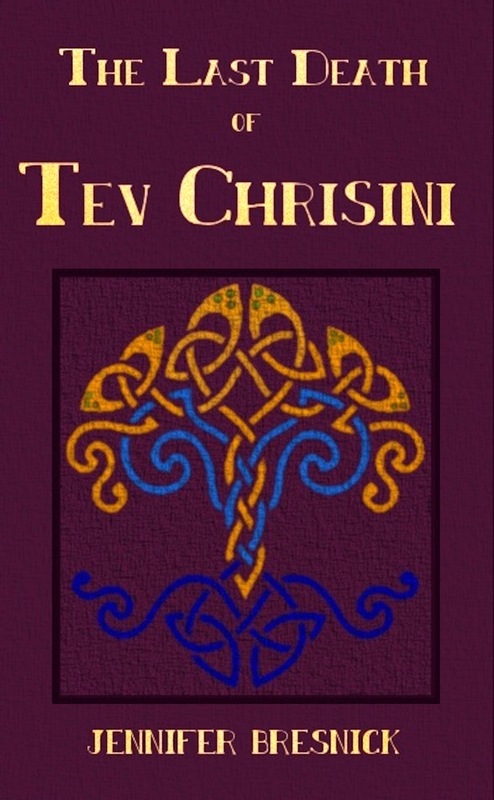 To that end, I’m offering you all a chance to win one free paperback copy of The Last Death of Tev Chrisini. I haven’t the slightest clue why the cover image looks so washed out on Amazon, but I assure you that it’s a high-quality trade paperback to rival the best of ’em. 1. Leave a comment on this entry telling me who your favorite villain in literature is, and why. It doesn’t have to be from a fantasy/SF story, but I figure since I’m working on fleshing out my Evil Bad Guy’s dastardly plans at the moment, it would be fun to hear about the fiendish characters that have charmed you in your own reading. 2. Follow or Like me on one of the following: Facebook or Twitter. Follow buttons are available to the right of this entry. In your comment, you must tell me which one you’ve chosen and the name you’re using to follow me, so I can put two and two together. If you are already a follower, just tell me that, too. That counts. If you’d like to add me on both, be my guest, but I won’t be awarding extra entries. One bonus entry will be given if you share this contest with your followers on Twitter. Doesn’t matter how many times you RT, you still only get one extra entry, so don’t spam your friends. Just add @jenrosebresnick to the tweet to make sure I see it. Entries will be considered incomplete if: 1) you unfollow me before the contest is over, 2) you didn’t leave your name in the comment, or 3) you complete only one of the two steps. And that’s it! You can start posting entries immediately. The contest will end on Saturday, May 12 at noon Eastern time. The winner will be randomly selected and announced at 1:00 PM, and contacted privately to collect the prize. I liked your Facebook Page yesterday, haha. Does that count?